A Piece of My Soul : Quilts by Black Arkansans showcases more than seventy-five individual pieces of patchwork quilt art in full-color photography. Each is accompanied by Cuesta Benberry's informative commentary as she details the importance of quilting to black Arkansas and the extensive holdings of African American quilts in the Old State House Museum in Little Rock, Arkansas. Enthusiastically recommended reading for students of Black History, southern popular culture, and the needlecraft arts, A Piece Of My Soul explains the quilt's uses, materials, and construction, as well as what each piece featured says about the needlecraft artist and her beliefs. Connecticut - Quilts and Quiltmakers Covering Connecticut from the Connecticut Quilt Search Project, available in December 2001. Hawaii - Robert Shaw, Hawaiian Quilt Masterpieces (New York: Hugh Lauter Levin Associates, 1996). Hawaii - Brandon, Reiko Mochinaga, The Hawaiian Quilt. Honolulu: Honolulu Academy of Arts, 1989. Hawaii - The Queen’s Quilt. Honolulu: The Friends of ‘Iolani Palace, 2004. Hackler, Rhoda E.A. and Loretta G.H. Woodard. Hawaii - Hawaiian Quilts, Tradition and Transition. Tokyo: Kokusai Art, 2003. Brandon, Reiko Mochinaga and Loretta G.H. Woodard. This was reissued in 2005 by the Honolulu Academy of Arts and the University of Hawaii Press. Hawaii - Woodard, Loretta G. “Quilts.” In Finding Paradise, Island Art in Private Collections, ed. Don Severson and Mike Horikawa. Honolulu: The Honolulu Academy of Arts and The University of Hawaii Press, 2003. Iowa - THE THREAD THAT REMAINS: PATTERNS FROM IOWA'S PAST. Mississippi - Mississippi quilts Mary Elizabeth Johnson for the Mississippi Quilt Association ; photography by J.D. Schwalm. Jackson, MS : University Press of MMinnesota Quilts: Creating Connections with Our Pastississippi, 2001. 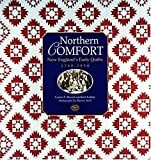 New England - Northern Comfort: New Englands' Early Quilts 1780 - 1850. Bassett, Lynne Z and Larkin, Jack.From the collection of Old Sturbridge Village. Photographs by Thomas Neill. 1998. North Dakota - Morning star quilts : a presentation of the work and lives of Northern Plains Indian women Florence Pulford. 1st ed. Los Altos, Calif. : Leone Publications, c1989. 80 p. : col. ill., map ; 30 cm. Pennsylvania - Quilts from Two Valleys - Amish Quilts from the Big Valley; Mennonite Quilts from the Shenendoah Valley. Pennsylvania - Quilts from Appalachia. A catalog from an exhibit sponsored by Penn State's Palmer Museum of Art and Central PA Village Crafts, Inc., published in 1988. The authors are Patricia MacNeal and Maude Wahlman. 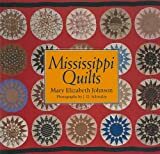 It includes a brief biography of each of the quilters represented as well as a brief history of the region, its settlement and its textile traditions and roots. Tennessee - Cross, Mary Bywater. Quilts and Women of the Morman Migrations [Utah]: Treasures of Transition. Nashville, Tn: Rutledge Hill Press, 1996. Texas - Texas quilts, Texas women by Suzanne Yabsley. 1st ed. College Station : Texas A&M University Press, c1984. xv, 99 p. : ill.
Texas - Prairie Windmill Quilt History & Research Chapter, National Quilting Association, Quilts of the Texas South Plains: A Sesquicentennial Exhibition, Oct. 19, 1986-Mar. 8, 1987. Lubbock, TX: Ranching Heritage Center, The Museum, Texas Tech University, 1986. Texas - Mason, Melvin Rosser, 1927- Martha Mitchell of Possum Walk Road : Texas quiltmaker text by Melvin Rosser Mason ; photographs by Westen McCoy. 1st ed. Huntsville, Tex. : Texas Review Press, 1999. 80 pages; illus. Texas Quilts and Quilters; A Lone Star Legacy. Part of the Grover E. Murray Studies in the American Southwest, a book series published by Texas Tech University Press, this new hardcover book by Marcia Kaylakie explores the stories of Texas quilters. 2007. Virginia - Quilts of Virginia. Virginia Consortium of Quilters. Click here for more information. West Virginia - Canopy for Dreams: Historic Quilts from the West Virginia State Museum Collection. Charleston, WV: West Virginia Division of Culture and History, 1998(OOP). A gorgeous visual sampling of quilts produced by Wisconsin women over the past two centuries, featuring color photos of many privately held heirlooms. Produced in association with the Wisconsin Quilt History Project, this book offers a rare and intimate glimpse at these tangible pieces of our past.